Within 10 seconds, it reached 301+ Views.. Within 12 hours, it reached more than 4 Lakhs Views with 6000 Likes.. This can happen to only one person in this world.. He is called as "Rajinikanth"..
xed response and almost everyone is discussing about it..
First of all, plz don't compare it to AVATAR or CHUTTI TV Cartoon..
People who compare it to Avatar doesn't know the meaning of "BUDGET"..
People who compare it to CHUTTI Tv doesn't know the meaning of "MOTION CAPTURE".. It is a TAMIL MOVIE, which will be released with SPANISH & ITALIAN version, etc for the first time.. It is one of the movies which will take our TAMIL CINEMA Worldwide in reality.. It is India's first movie to be released with "MOTION CAPTURE" Technology..
We have to be really PROUD of it and should celebrate the Teaser..But Are we? Yes..The Teaser may not satisfy few people completely as it didn't have our SUPER STAR Punch Dialogue, may look like cartoon, etc.. But, his WALKING STYLE will impress anyone whoever watches it all over the world..
Actually, this teaser doesn't reveal anything.. 1 Minute 14 Seconds Teaser had 14 second of EROSNOW Ad, 30 seconds of Title Credits and just 30 Seconds of the real movie..
No one can predict a movie by just seeing it for 30 Seconds.. Nothing is revealed in the Teaser.. Hence, guys who were not impressed with the Teaser, plz hold on till the actual TRAILER gets released.. 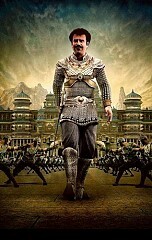 This page has information about Kochadaiiyaan Analysis by Common Man, Kochadaiyaan, Rajinikanth.